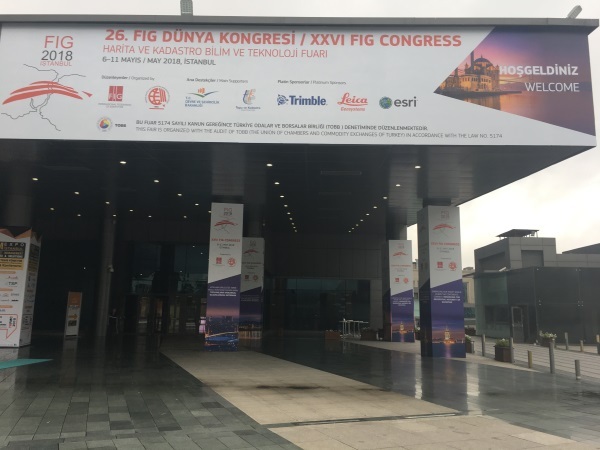 FIG Congress 2018 was held successfully in Istanbul Turkey. The Turkish hosts had done their utmost to make the congres an unforgettable event. More than 2,300 participants form Turkey and all over the world found their way to the Istanbul Convention Center in the city center of beautiful Istanbul, close to Taksim Sqaure. 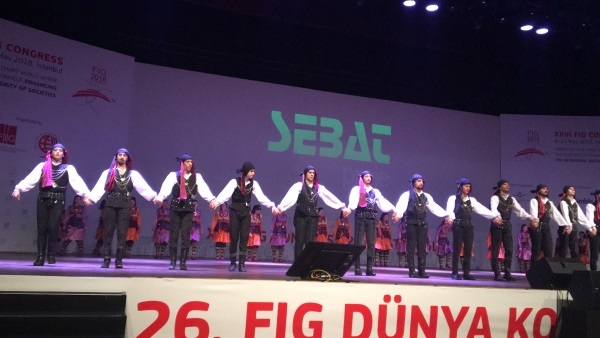 The Congress was opened with a festive Turkish dance perfomed by a very talented teenage dance company from Ankara which set the lively atmosphere. 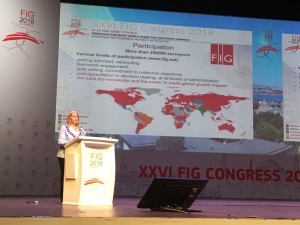 FIG Congress 2018 marked the fourth and last year for FIG President Chryssy Potsiou and she gave a presentation in the first plenary session on the achievements during the last four years. In total there were 100 sessions over the four days with 400 papers presented, 15 FIG sssions, 10 Commission meetings, 11 sessions with the partners World Bank, UN-Habitat/GLTN and FAO, 3 pre-events, 2 sub-events during the congress days, 63 technical sessions, 3 FIG Platinum FIG member sessions, 3 Inspirational sessions, all of which marked some very busy days from early morning to late night. Hereto there was a large exhibition that was placed in the hallways of the congress venue which contributed to the lively and busy atmosphere. Thanks to all exhibitors and sponsors that made this event possible. Proceedings - incl all presentations will be uploaded soon.